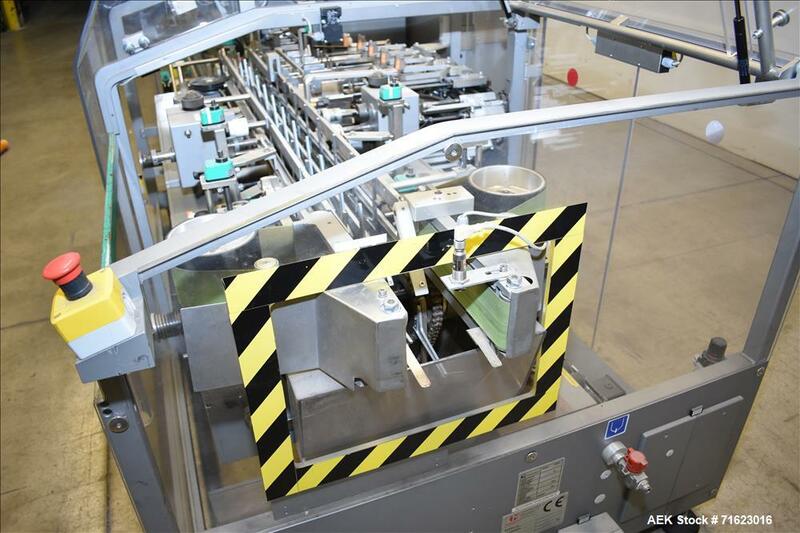 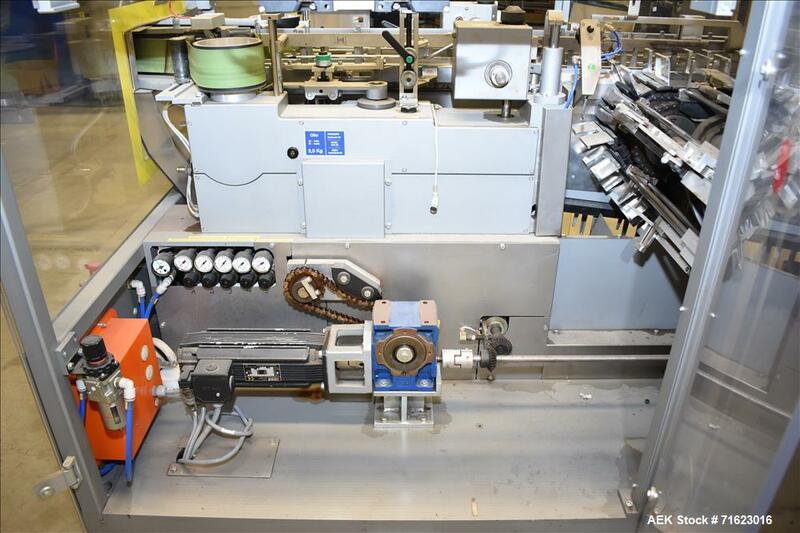 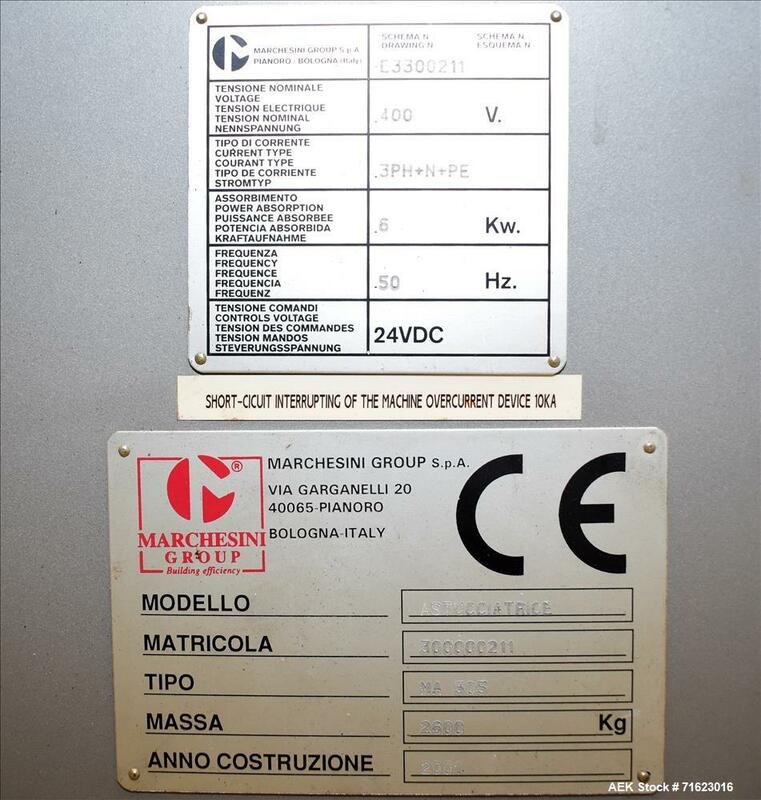 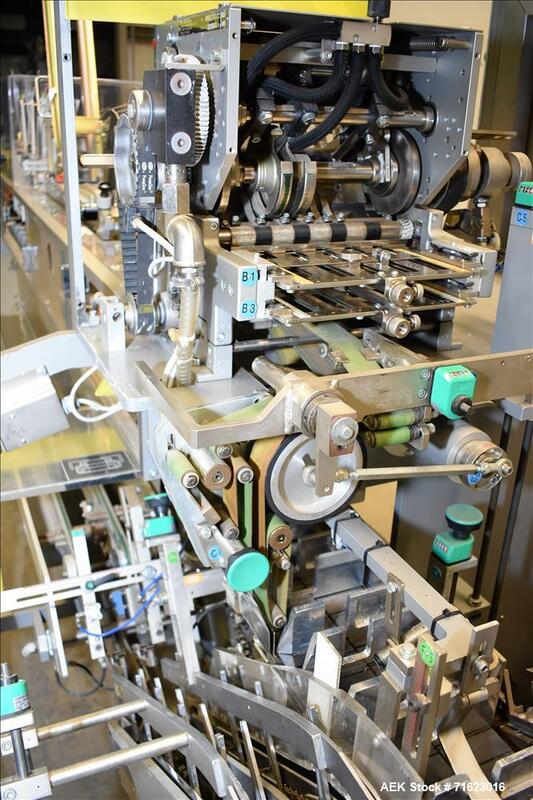 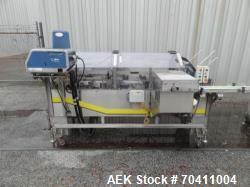 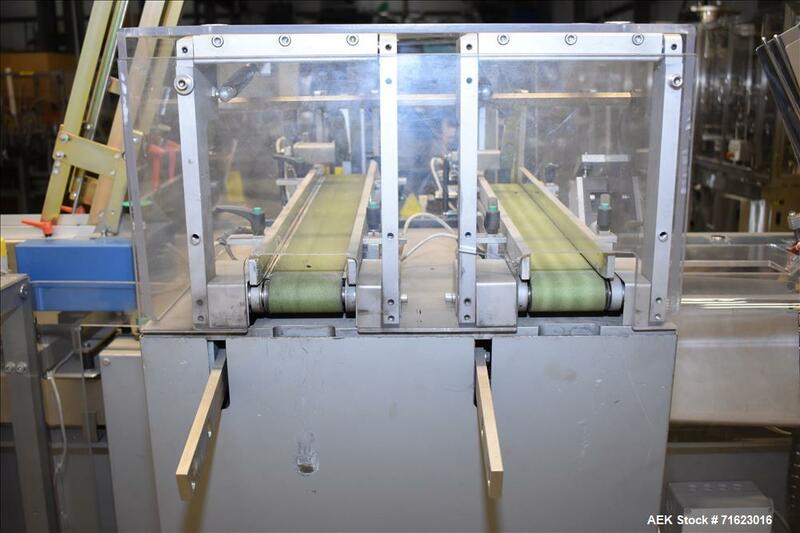 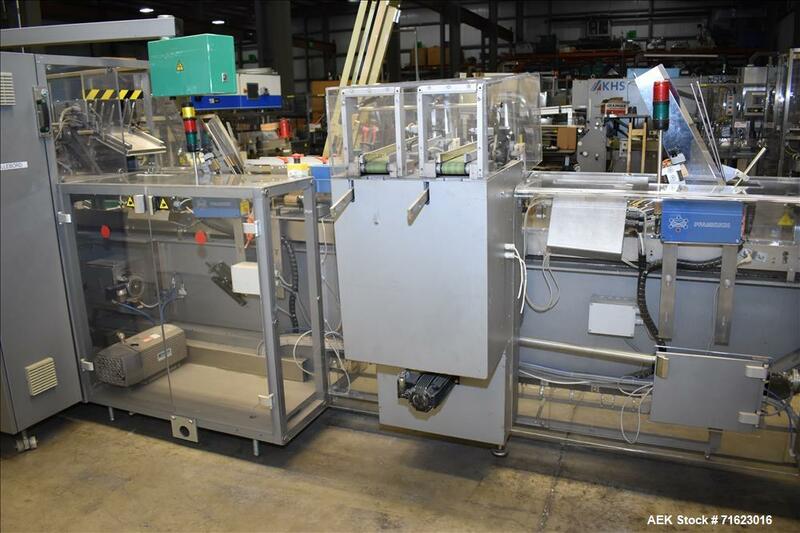 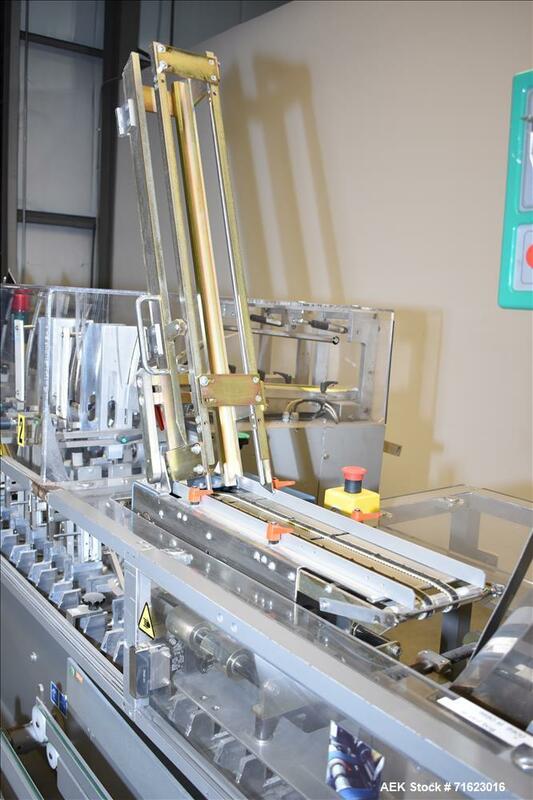 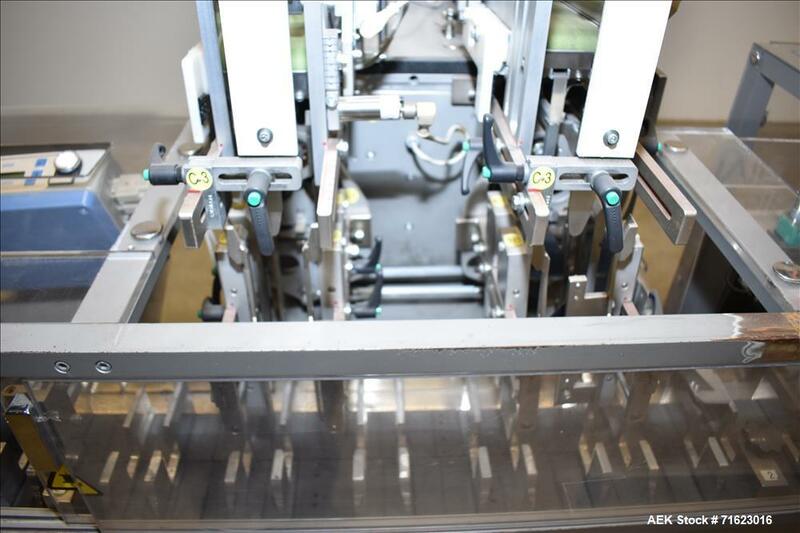 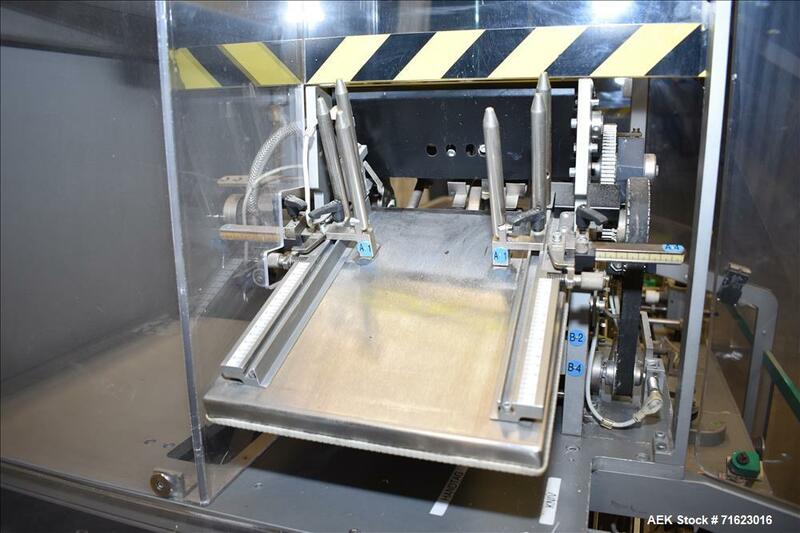 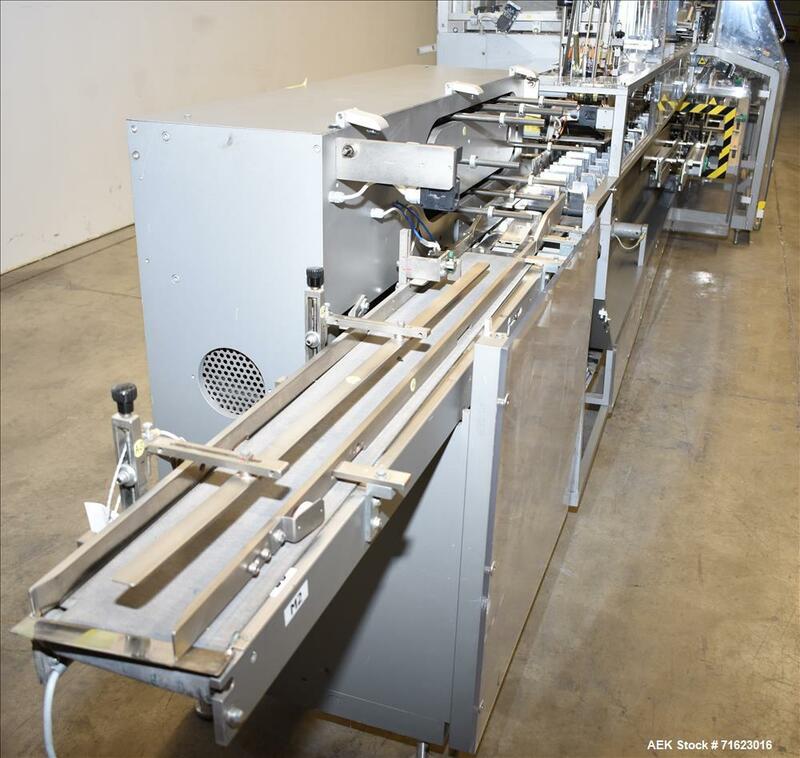 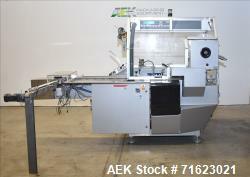 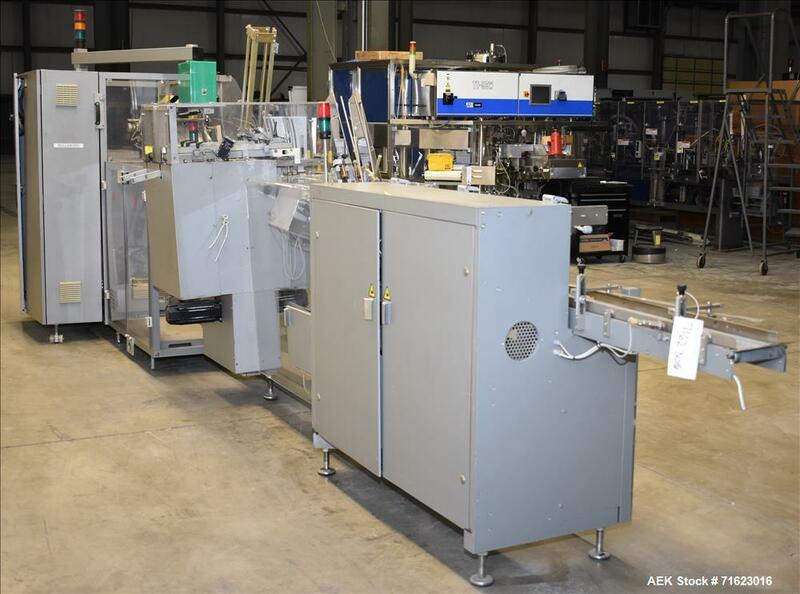 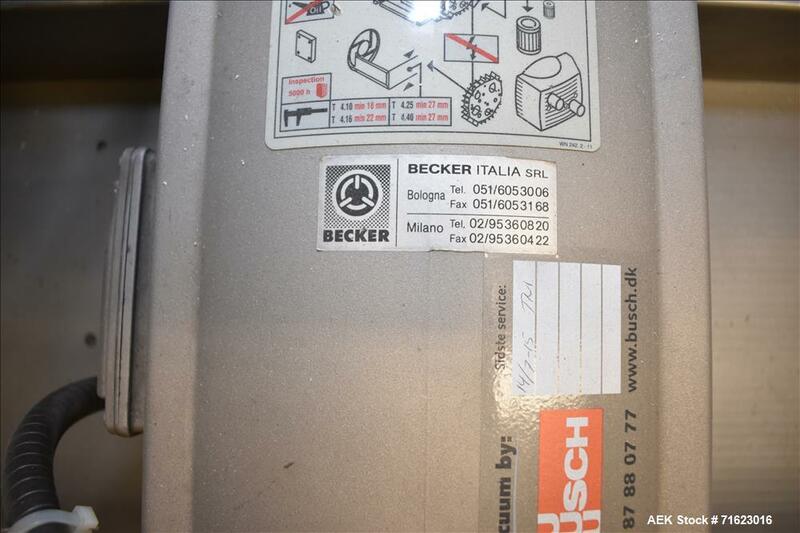 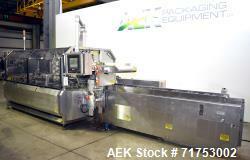 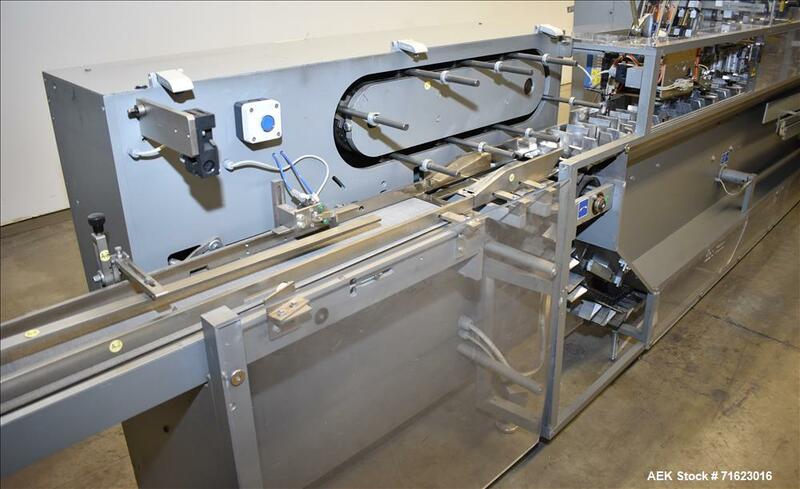 Used- Marchesini Model MA 305 Horizontal Blisterpack Cartoner. 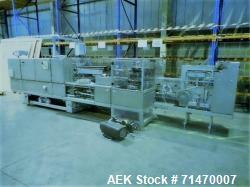 Capable of speeds up to 240 cartons per minute. 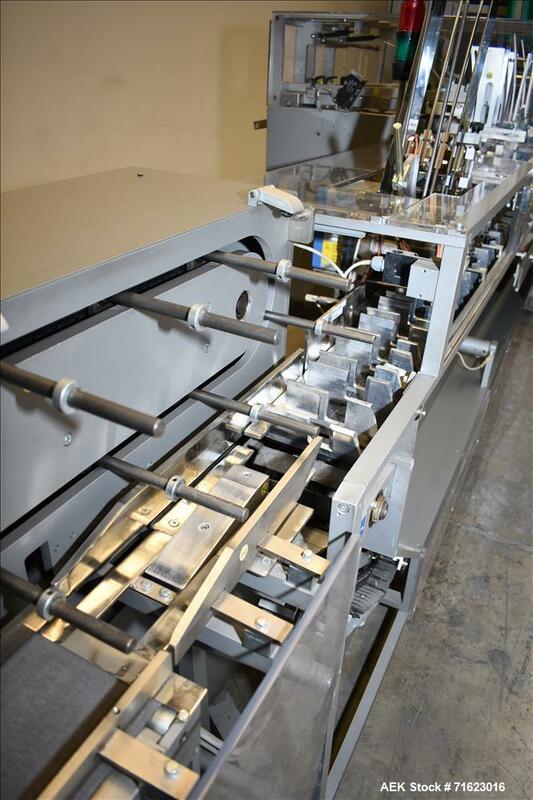 Has 5" centers for a carton size range: 25m 100 mm (length) x 15 mm 85 mm (width) x 65mm 150 mm (depth). 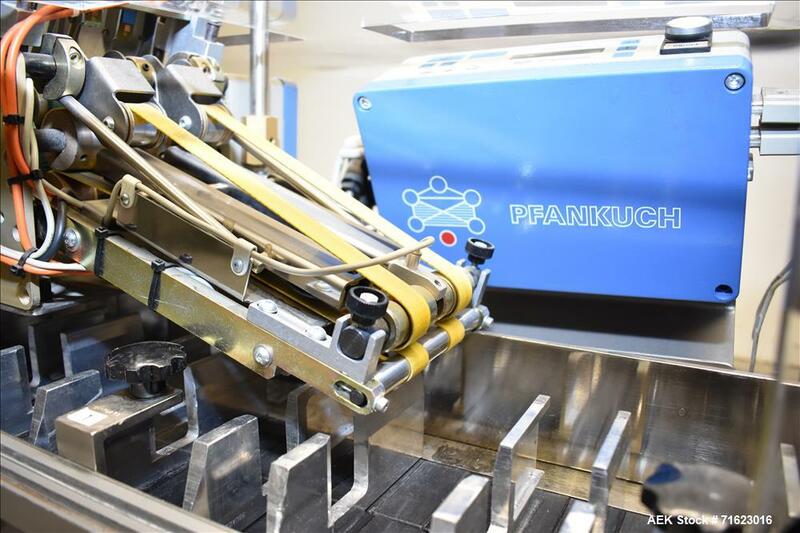 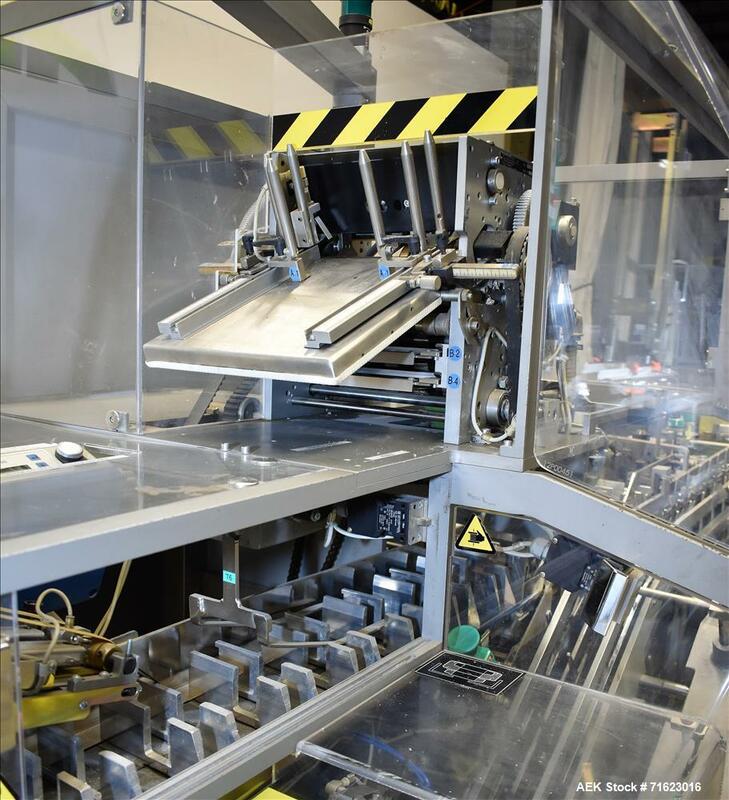 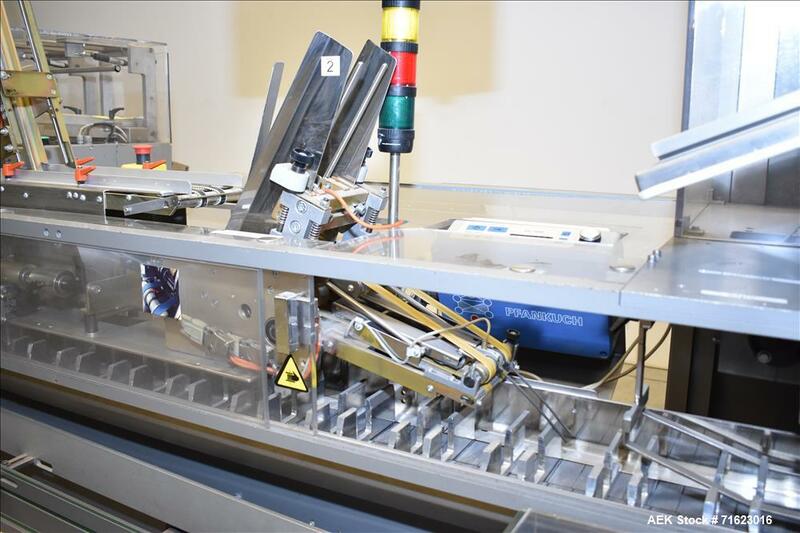 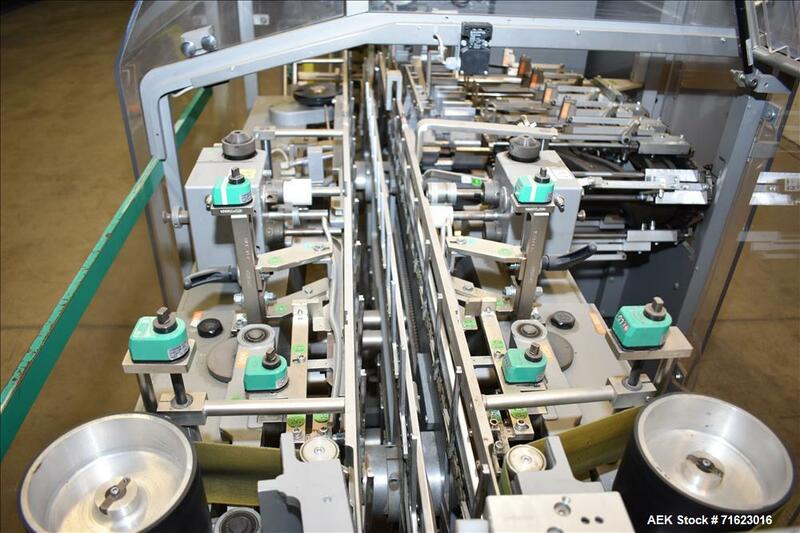 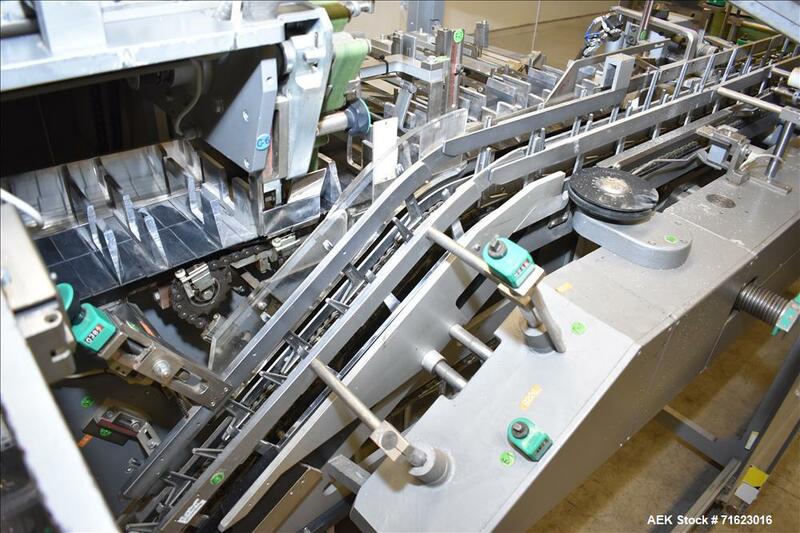 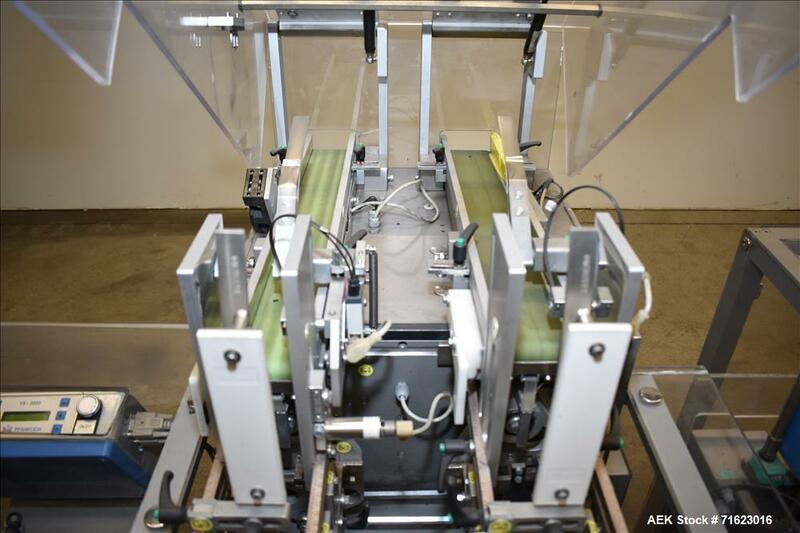 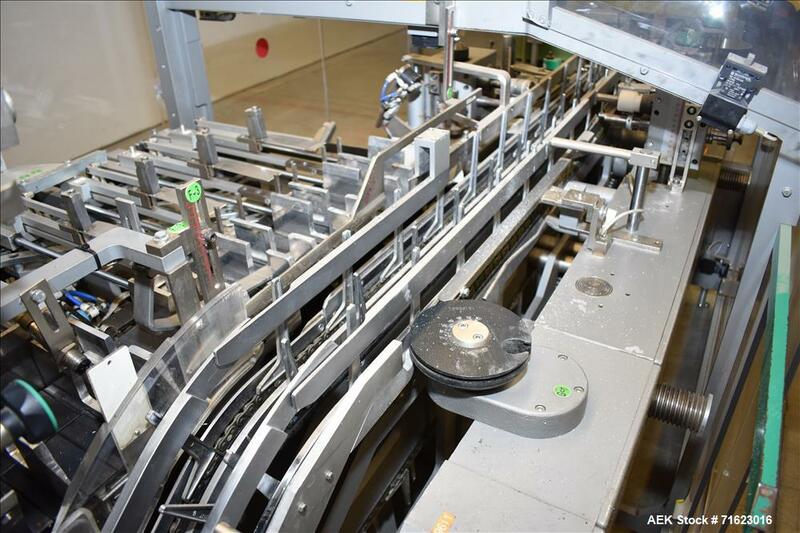 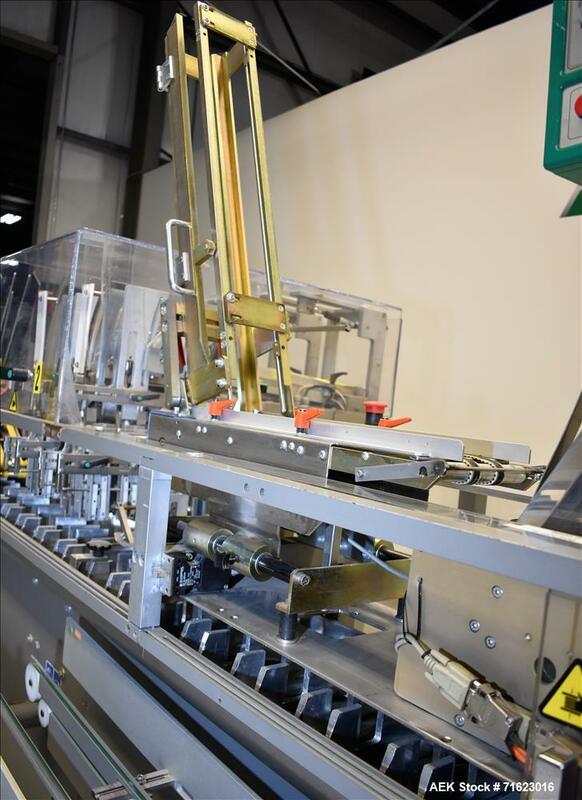 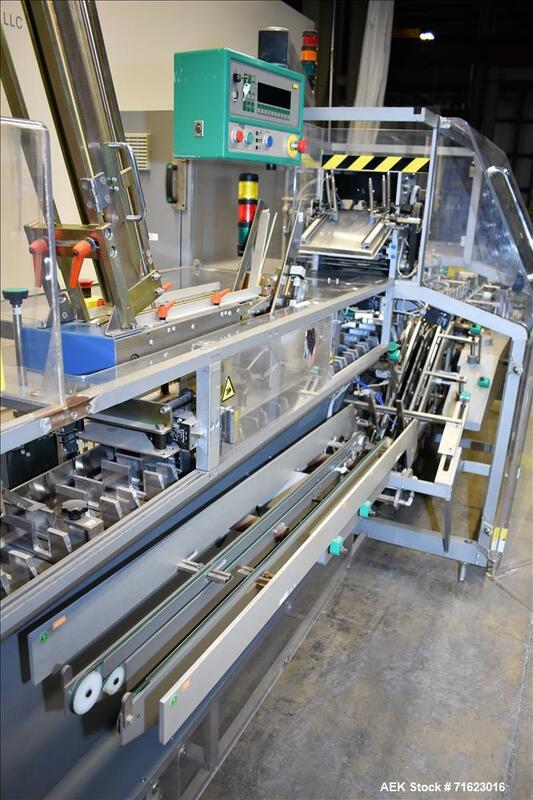 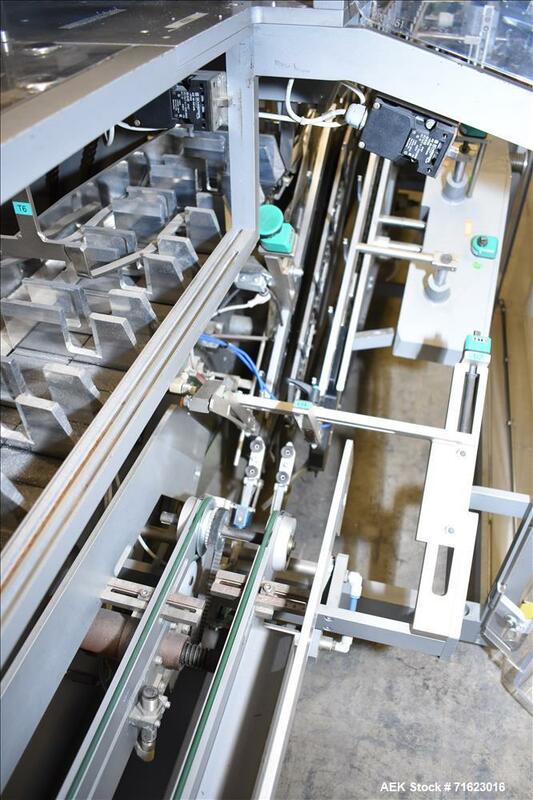 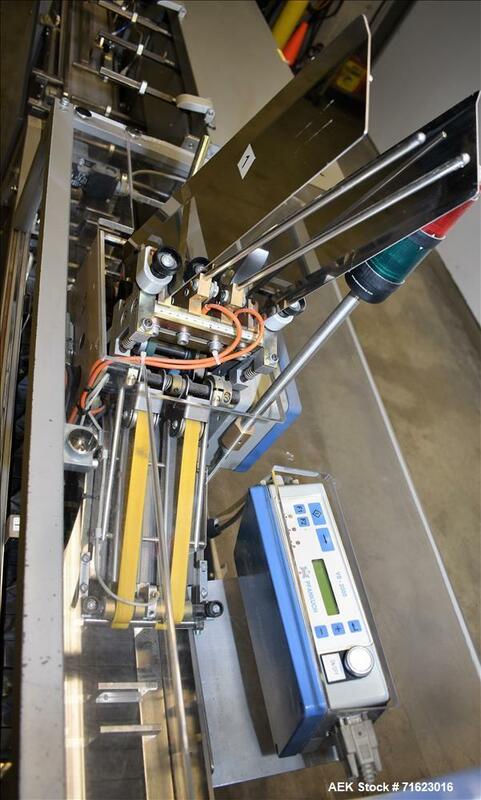 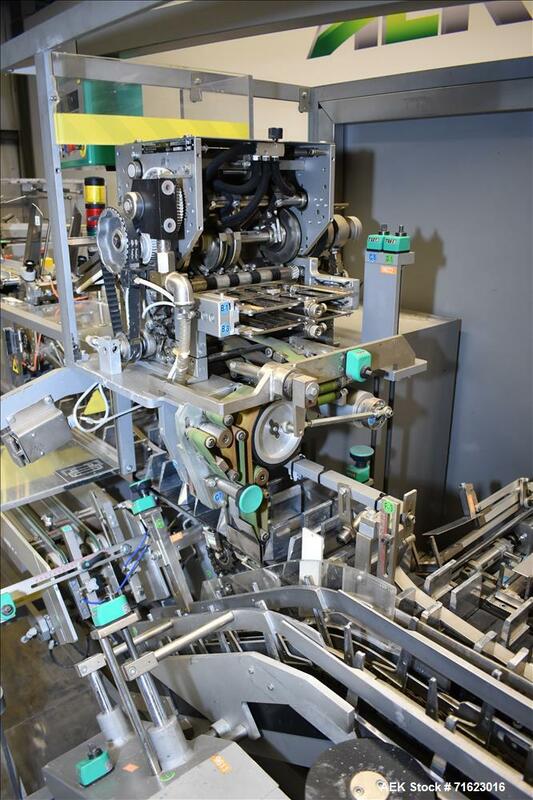 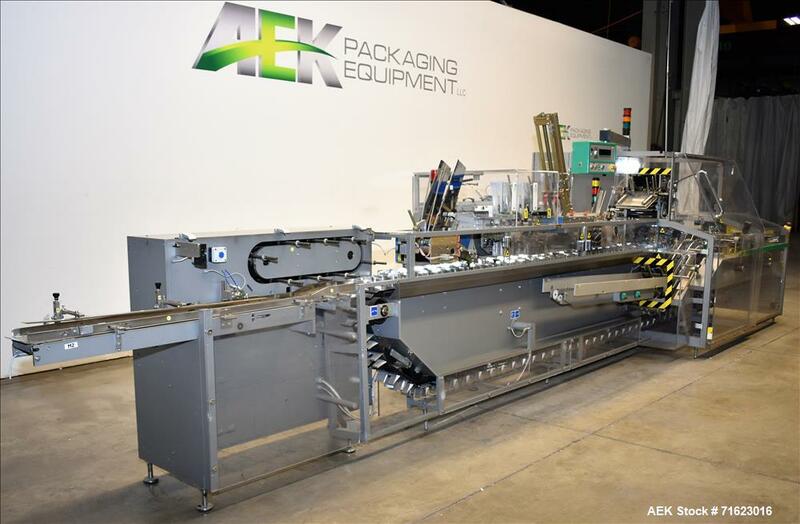 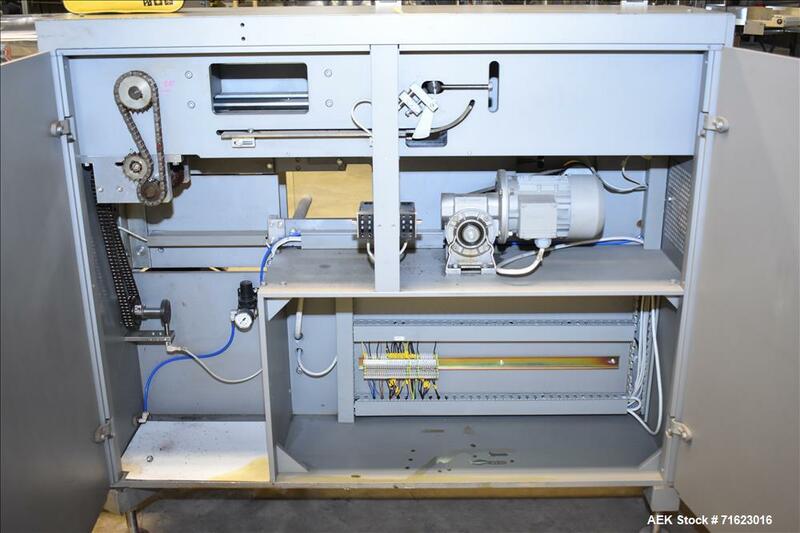 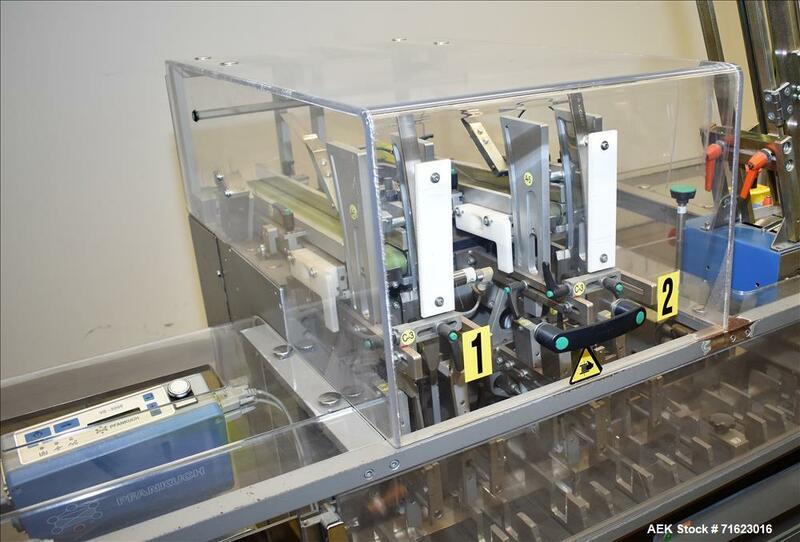 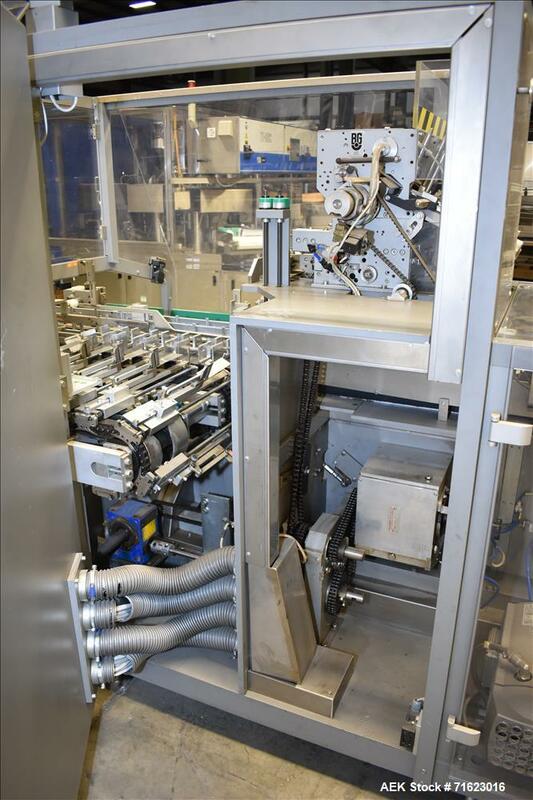 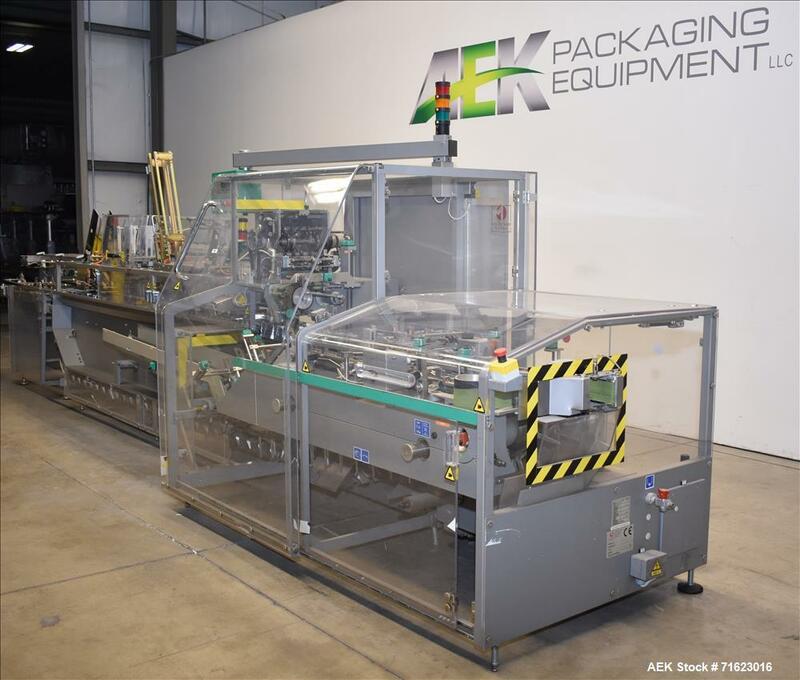 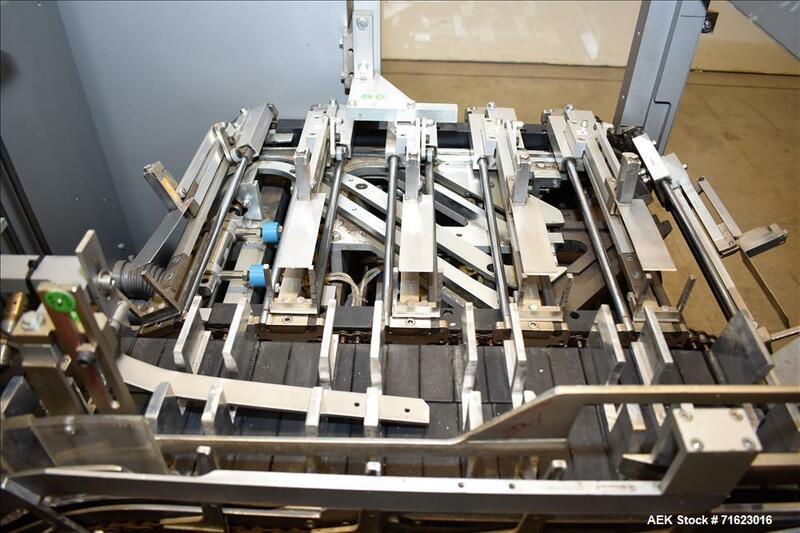 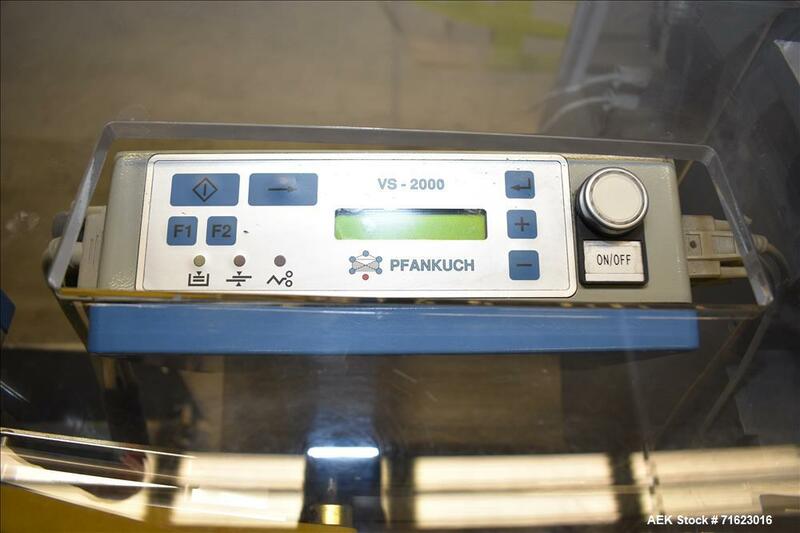 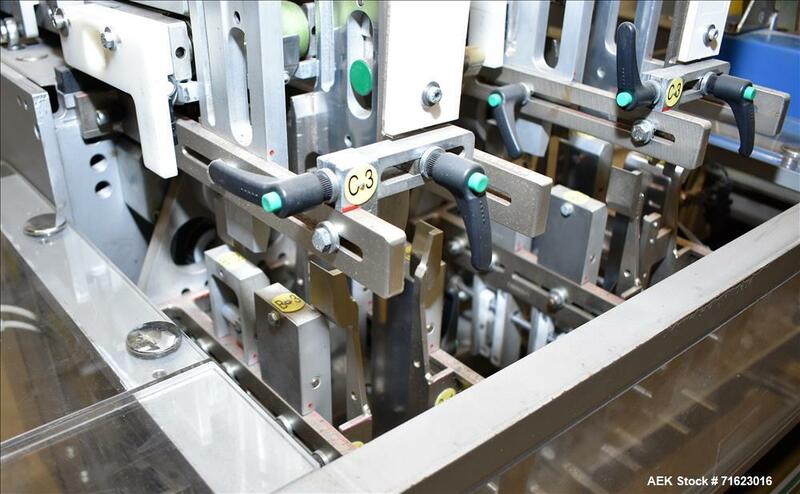 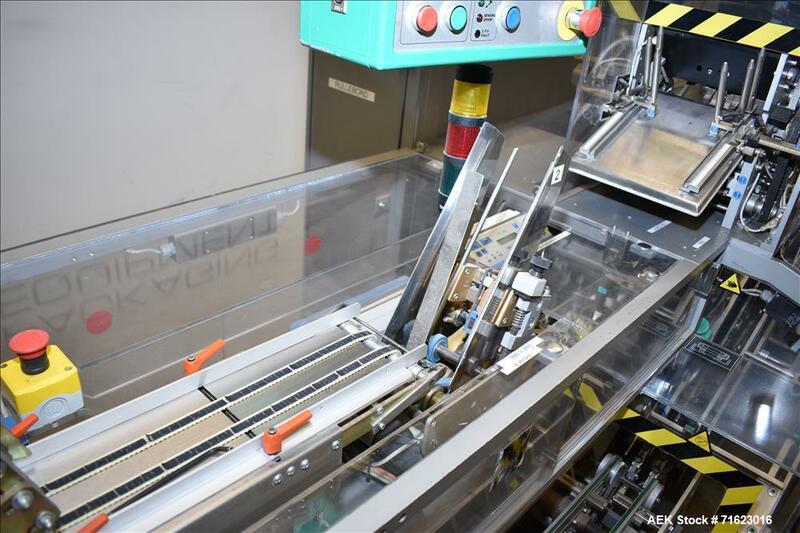 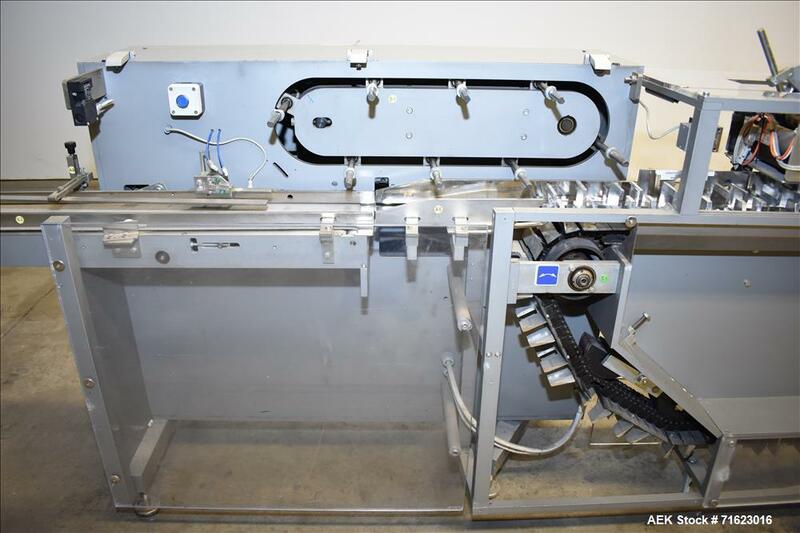 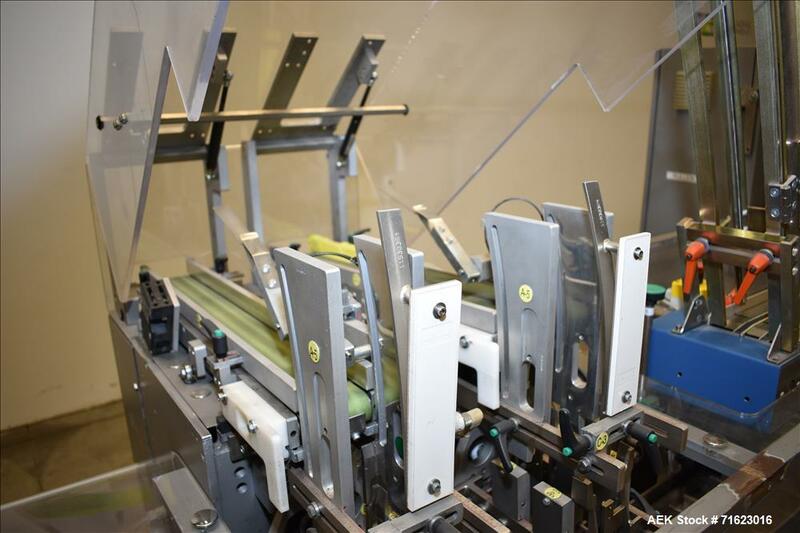 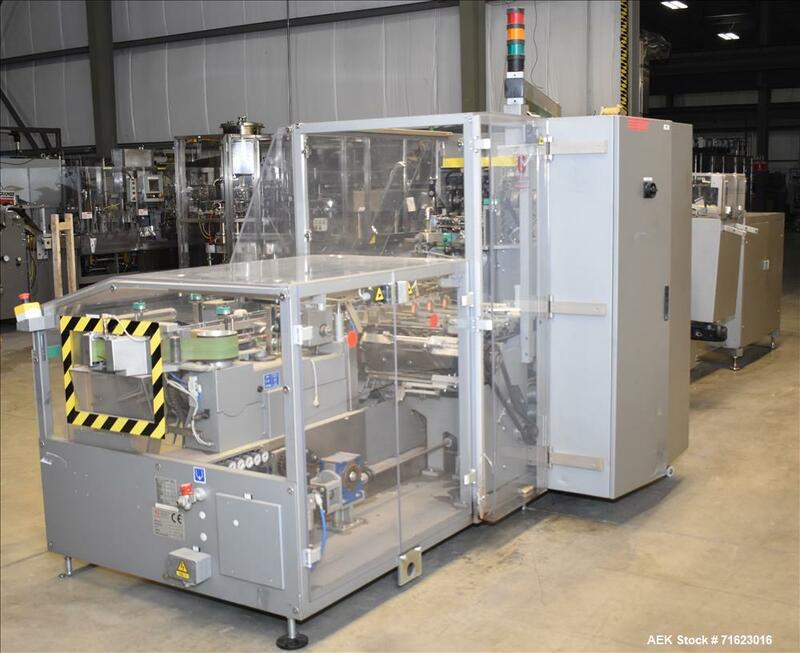 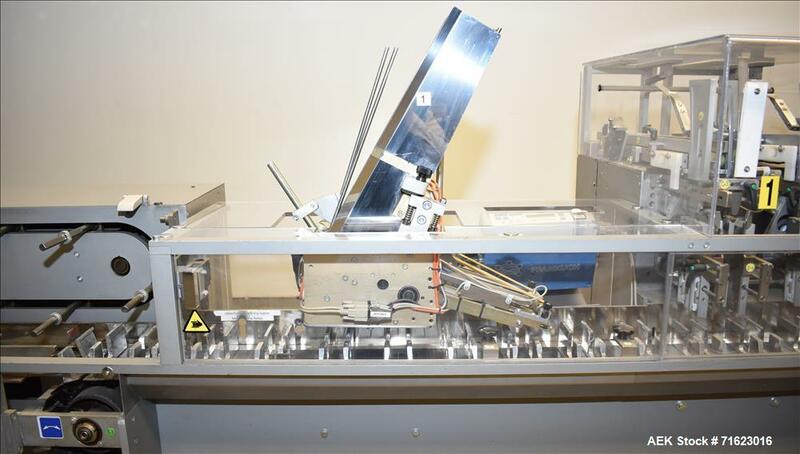 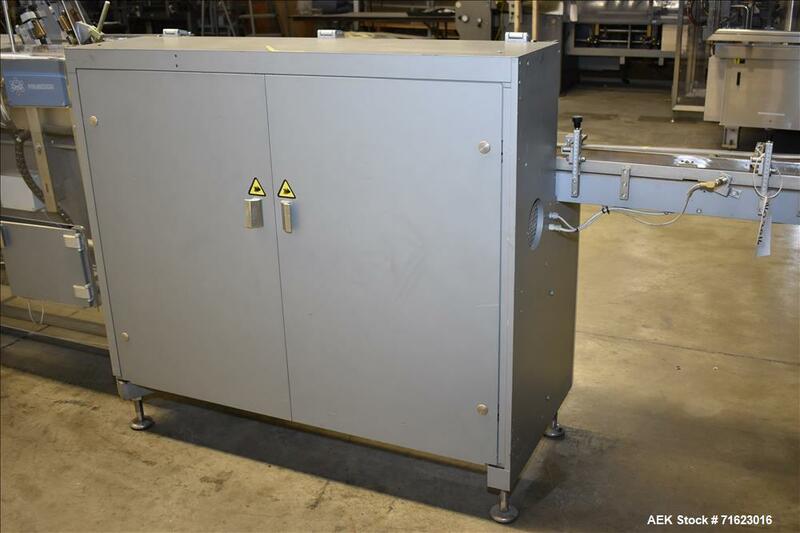 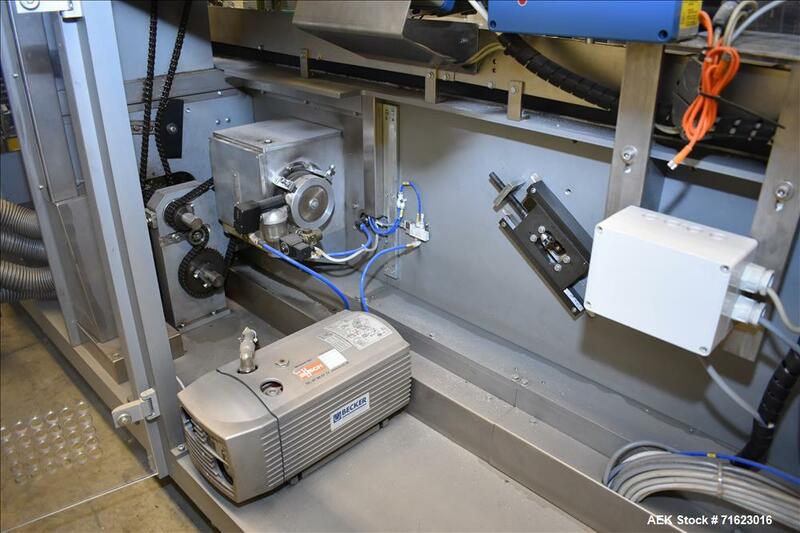 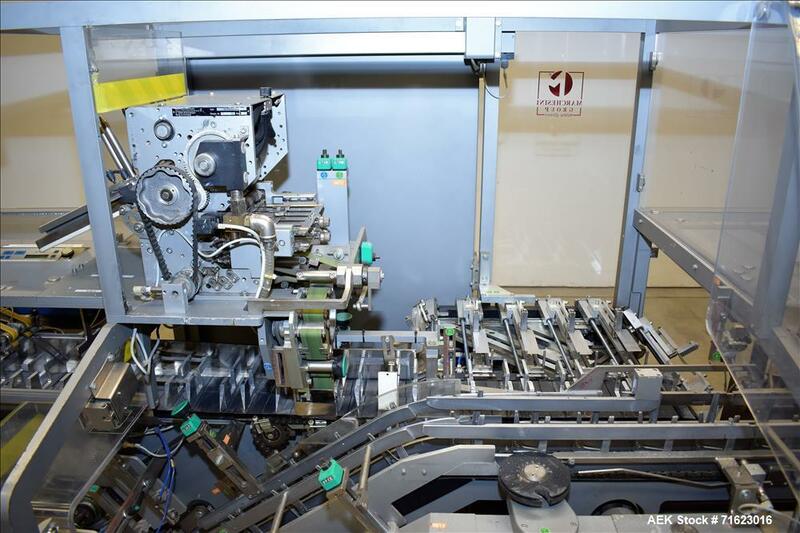 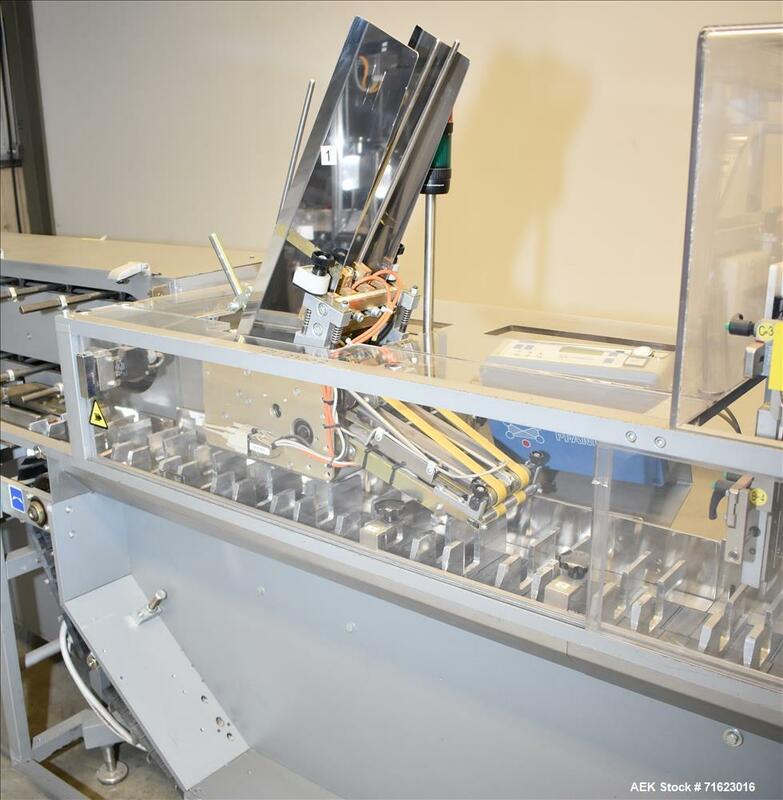 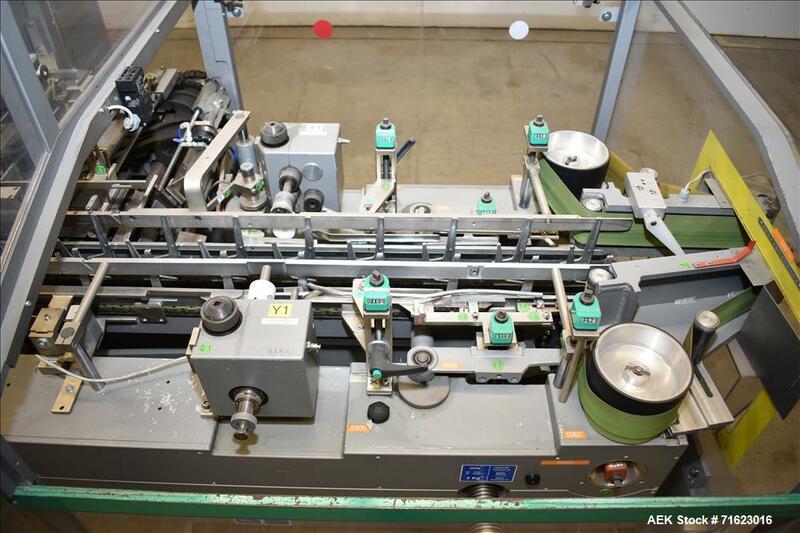 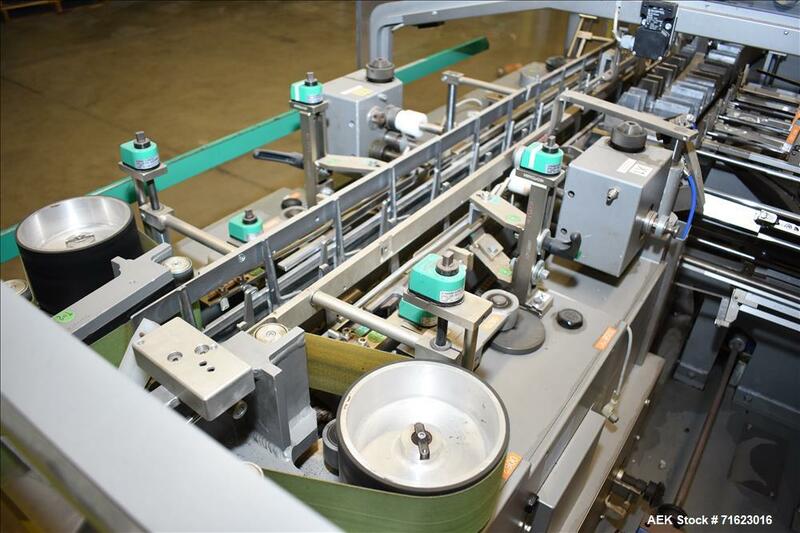 Has Phankuch ASB-175KL prefolded leaflet feeder, dual blister transfer systems, secondary Phankuch ASB-175KL prefolded leaflet feeder with extended magazine, sheet fed leaflet feeder, dual embosse date coders for top and bottom flaps. 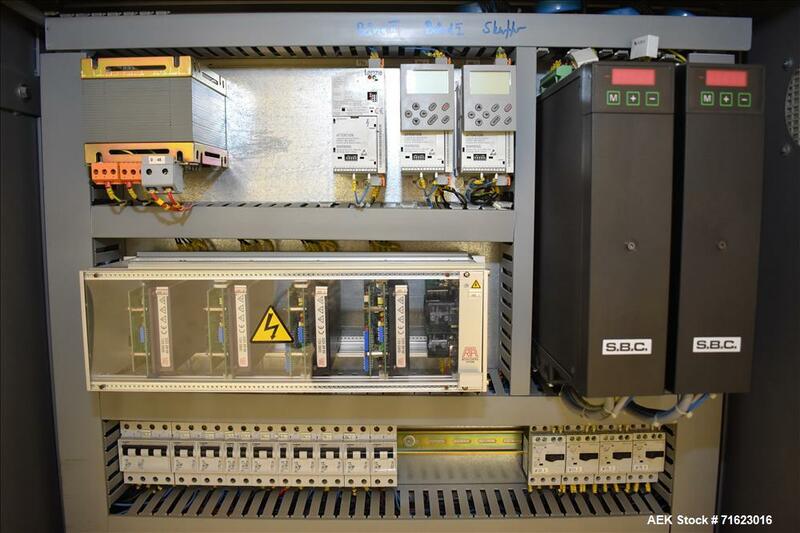 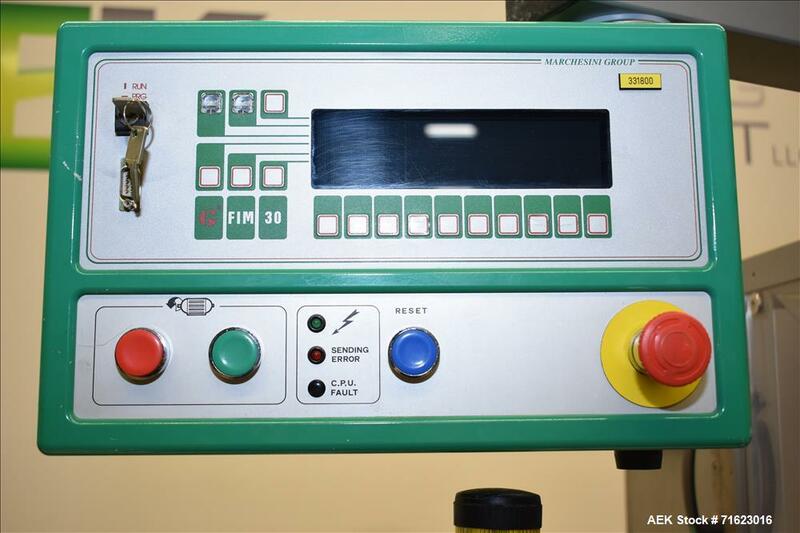 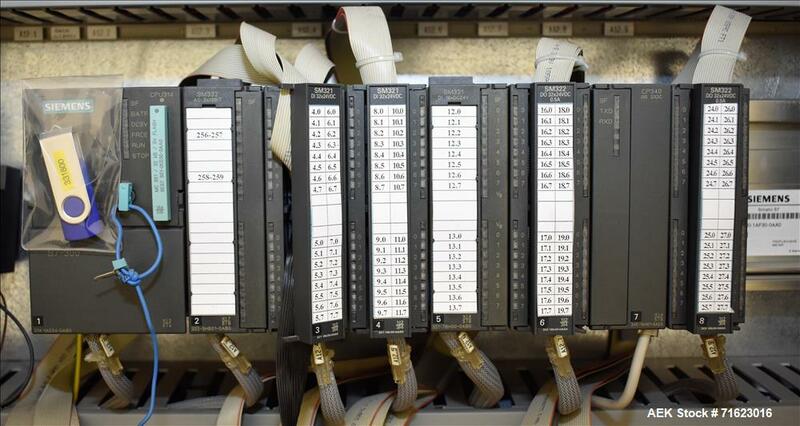 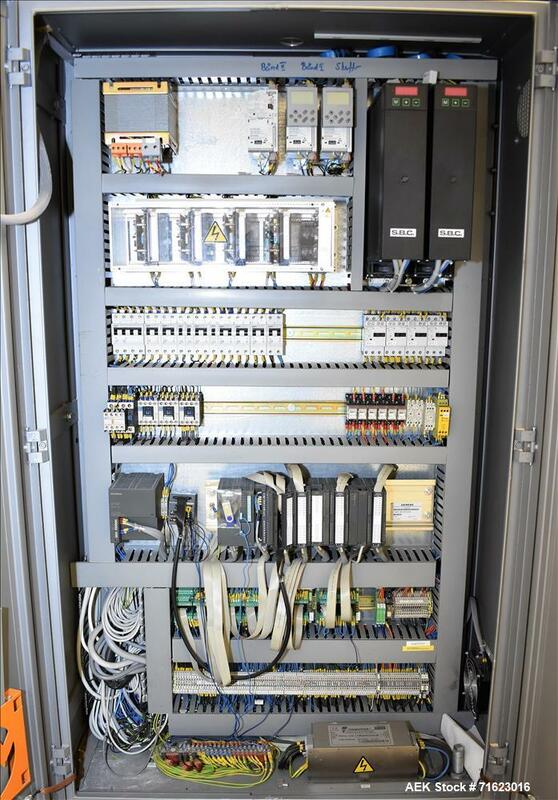 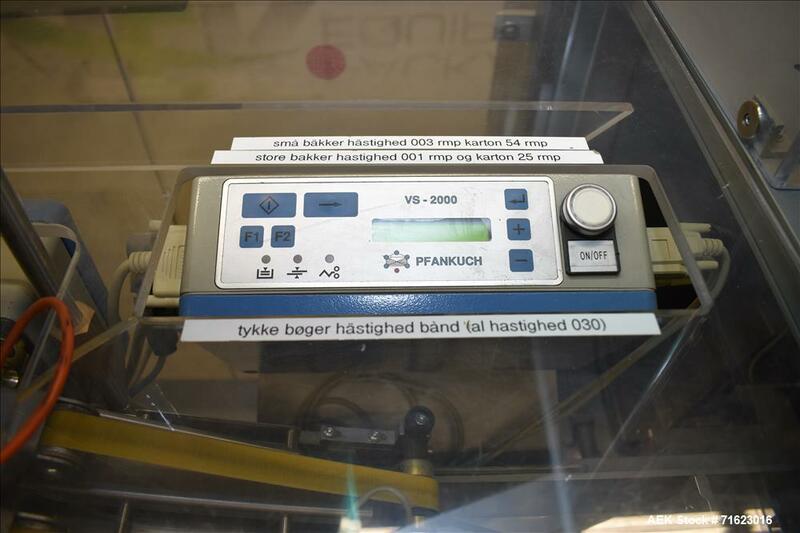 Has Siemens plc controls. 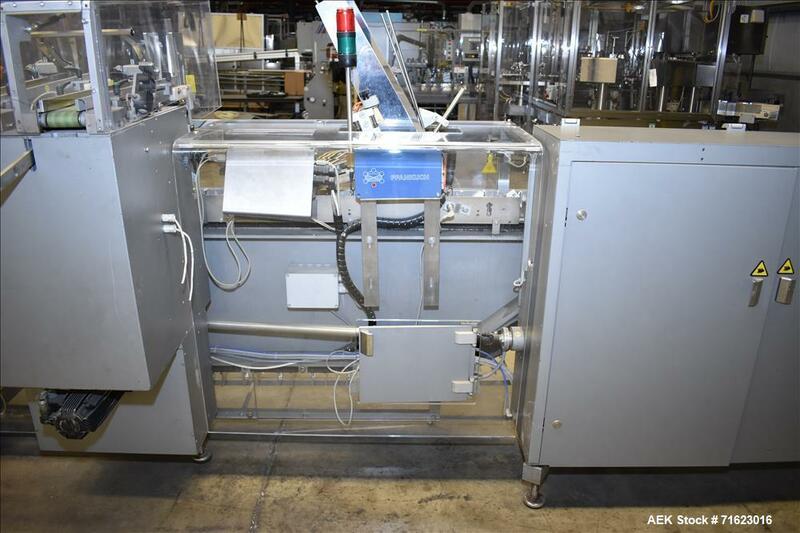 Currently set up for straight tuck style cartons. 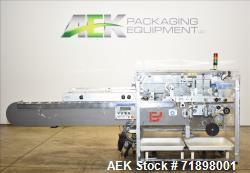 Has optional automatic belt infeed to transfer formed trays into lugs that was fed from a Kliklok tab lock tray former. 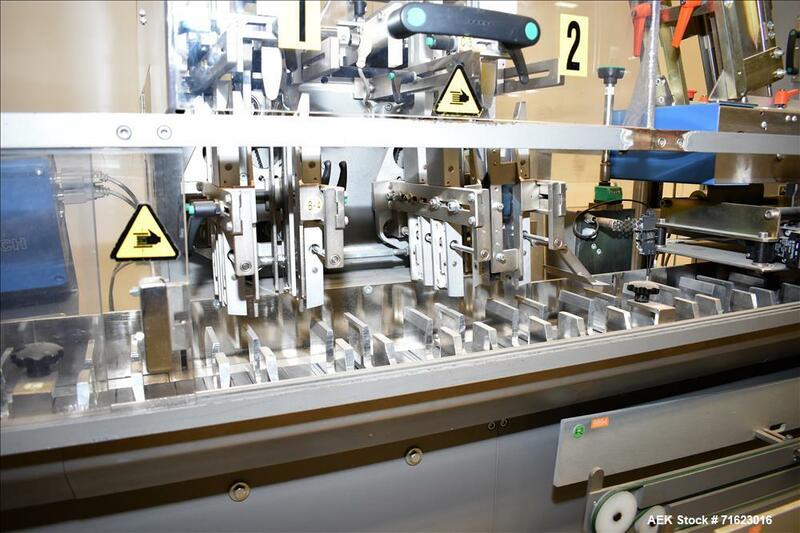 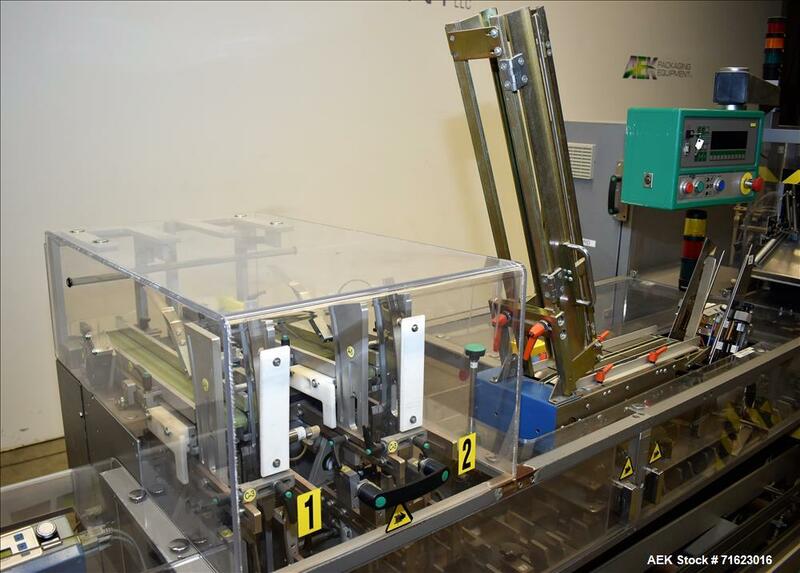 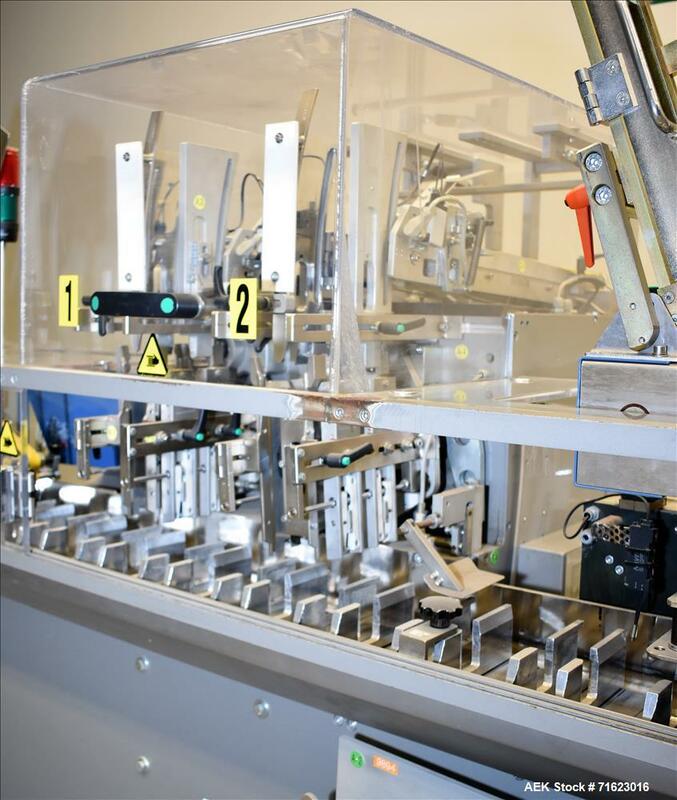 Machine can be retooled and set to size per application. 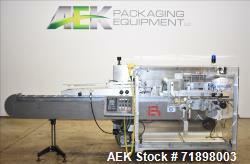 Pricing subject to receipt of carton samples. 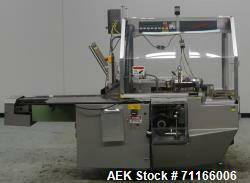 Ask your AEK sales representative for details. 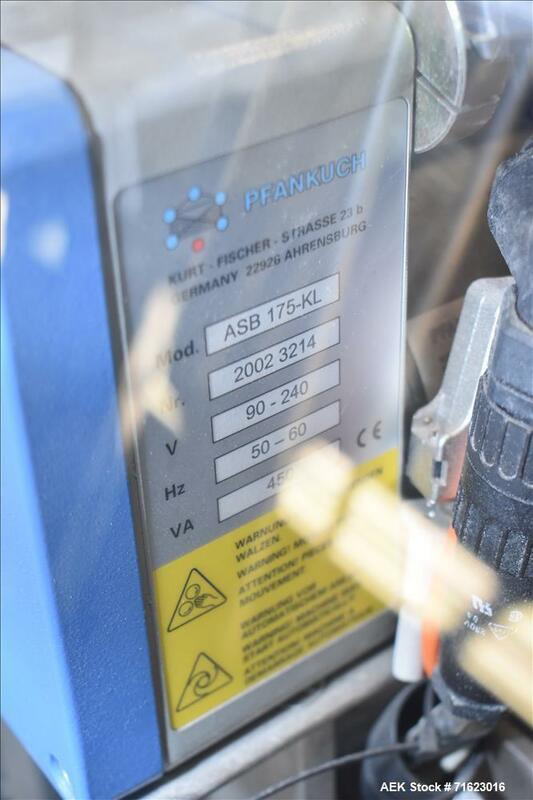 3/50/400V. 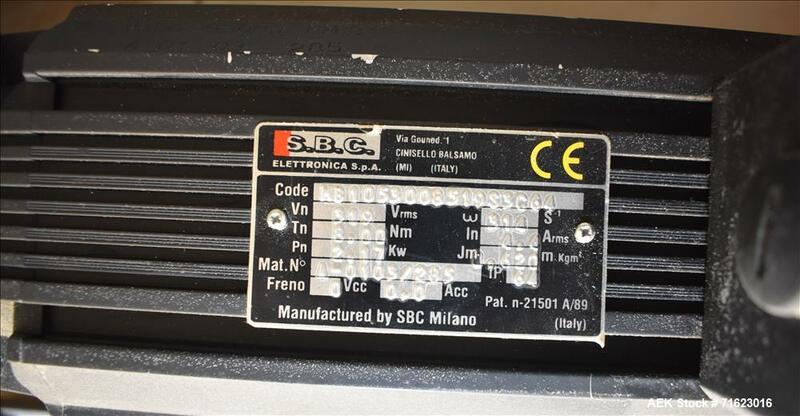 Serial # 30000211.